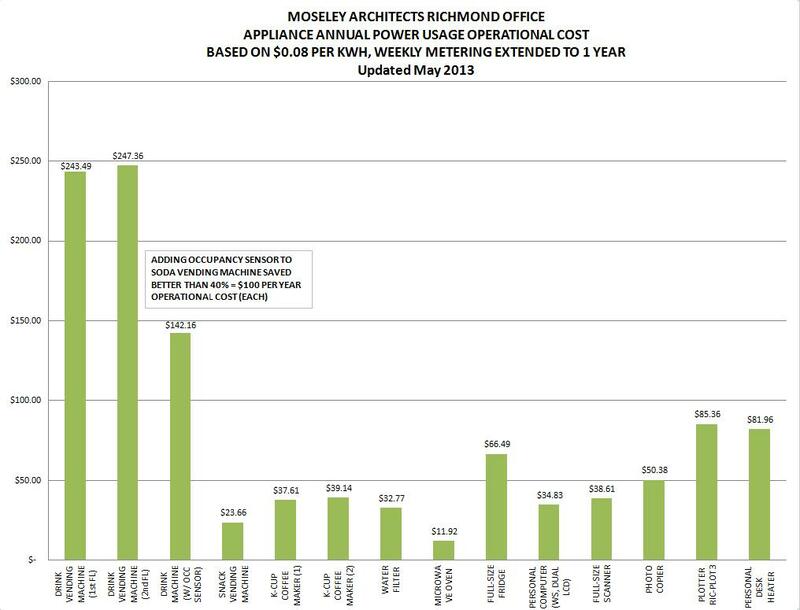 Last fall, we did an audit of Richmond office equipment and found that the drink machines were using the most energy by far, being very poorly insulated and running around the clock to keep the drinks cold. See that post here. 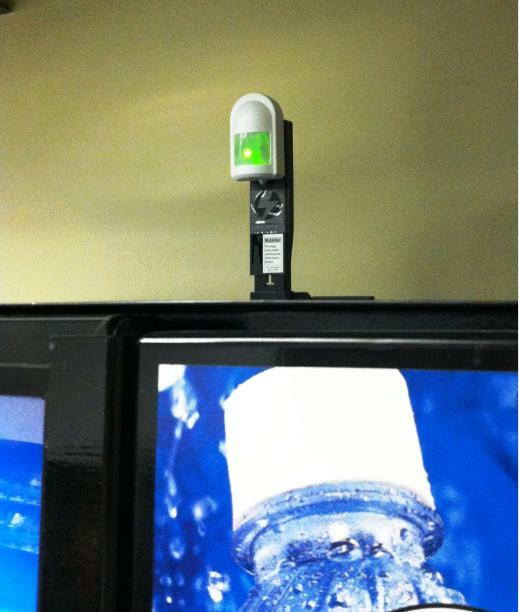 We reached out to our vending contractor, and they installed “Vending Misers” on our two drink machines for free. Basically they sense activity around the machines, and use fuzzy logic to establish usage patterns. During periods established as low usage, the refrigeration compressors scale back, but do not cut off entirely. We have measured the energy usage again since our Misers have been installed for a few months now, and the energy use was reduced by 40%! This is predicted to save about $100 per year, per machine. The updated findings are charted below (click on the image to enlarge).